MY NAME IS JAKE. I AM A TV ADDICT. I have a history of procrastination and poor time management. 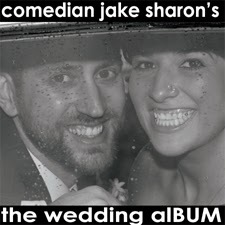 In January, The Institution Theater and I set a date to record my first DVD and my second, CD, The Wedding AlBUM- a tribute to my wife, Callie Sharon. We set the date for March. So, I had only two months to promote the shows, create a successful Kickstarter campaign to fund the project, and make sure my set was exactly how I wanted it. I realized it would take everything I had- all my concentration, all my time. I didn't have time to watch 4 hours of TV a day. So, on January 21st, I vowed to stop watching TV until March 30th, the day after The Wedding AlBUM CD/DVD recording. 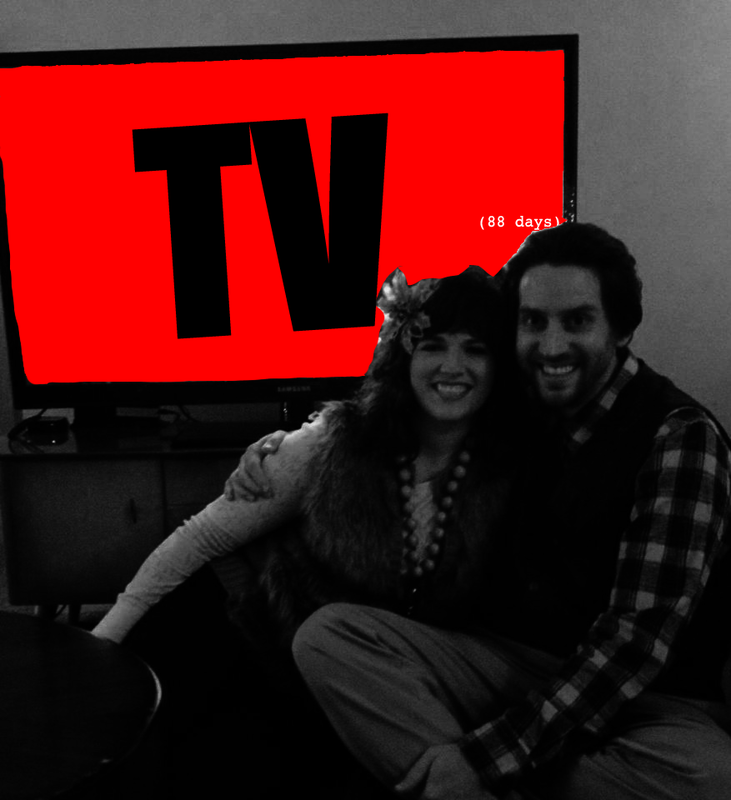 I vowed to stop watching TV for 70 days. I got so much done during that time I kept going. I kept not watching TV. I felt wonderful. I was proud to be productive. On April 19th, as Saturday Night Live began, Callie asked me "are you ever going to watch TV with me again?" So I watched 5 minutes of TV with her. I could barely stand it. It was really hard to sit there and focus on SNL- for even 5 minutes. In the past, Callie and I watched TV to help us fall asleep. On April 20th, Callie and I started watching Breaking Bad. Meth + violence = restful sleep. Like a junkie, I have been binging. It's not just Breaking Bad either. By myself, I have watched three seasons of The Office- that is three year's worth of programming in two weeks! I haven't been reading. I haven't published an episode of The Battery Podcast in two weeks. I am behind on writing. More importantly, I have a lot of obligations I have to fulfill. Callie reminded me that prior to marrying her, I promised her parents that I'd provide for her. When she said that, I was speechless for several minutes. Do I stop watching TV altogether until I complete my next big task? Do I find a way to watch a moderate amount of TV? Why is TV so important? America.